Do you love saving money? If so, this is perfect for you! mobiSave is a cash back rebate app that is quick and easy to use. You’ll receive money back on items you already purchase, awesome! Plus, it’s great for trying new products you’ve wanted to check out. Furthermore, you can use mobiSave at ANY store in the US, including territories and military bases. All you need is a phone, the app, and your itemized receipt. 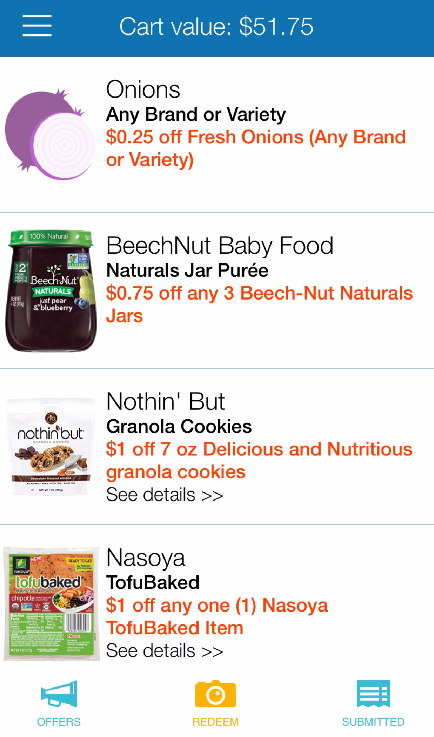 You can also stack MobiSave Rebates with sales, store coupons and other manufacturer coupons, so it’s a great way to watch the savings add up for your groceries. Download the FREE mobiSave app, available on both Android and Apple. Pick offers you like or select all of them, whatever your preference may be. Pick the rebates you’ll use BEFORE checking out. Rebates are updated every Monday at 12 am where ever you’re located. After shopping, submit your receipt and select the rebates you’ve purchased. Once you’ve submitted your receipt, the funds will be deposited into your PayPal account upon review. From my experience, you’ll typically receive your rebate within 1-2 days. No PayPal account? No problem! mobiSave will walk you through how to register upon signing up. Bonus tip: Most offers can be combined with other manufacturer’s coupons, store coupons, and cash back rebates. However, make sure to read each offer for all of the details, as a few differ. Are you ready to start saving money with mobiSave? Click here to sign up today. Safeway has amazing deals! For more low prices, check out Super Safeway’s weekly ad coupon matchup page. Want to stay updated on the best deals? If so, make sure to like Super Safeway on Facebook, follow us on Twitter, and subscribe to our newsletter.